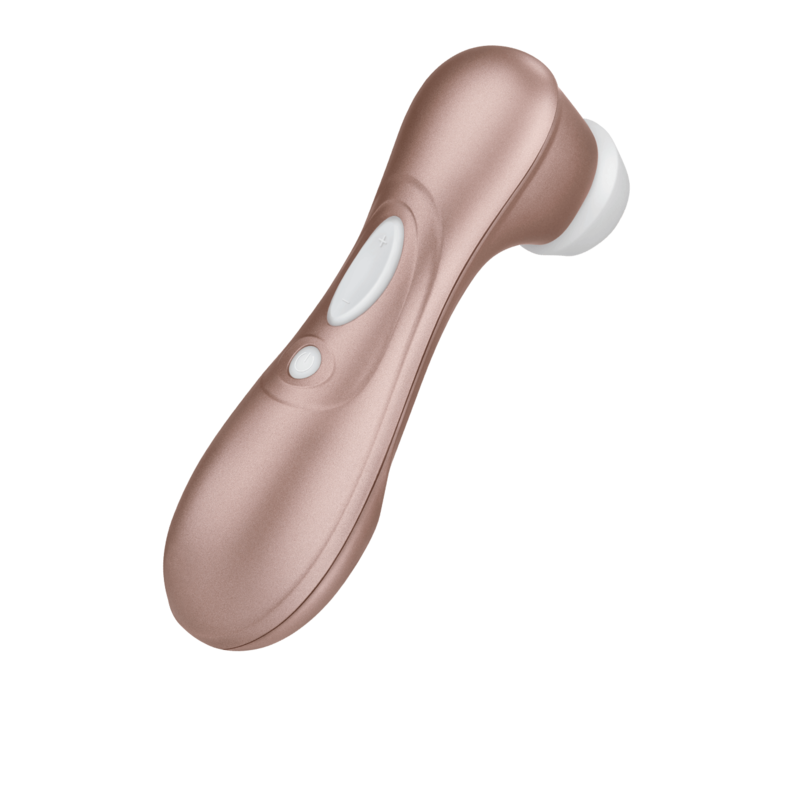 With its intense pressure waves and tingling pulsation, the Satisfyer Pro 2 provides touch-free clitoral stimulation and, thus, an extra dose of pleasure. Complete with 11 programs, a smooth oval head, innovative vacuum technology and contact-free massage effect, this lovetoy is a stroke of genius! Experience it anywhere and everywhere thanks to the cable-free handling, magnetic charging, and waterproof design. Measurements: 6.5 inches in length, 2.5 inches in width at largest point. Opening measures .6 inches in diameter.